MANILA, Philippines — The 2,013 victims of human rights violations during martial law deserve compensation and should be reinstated in the original list of victims. 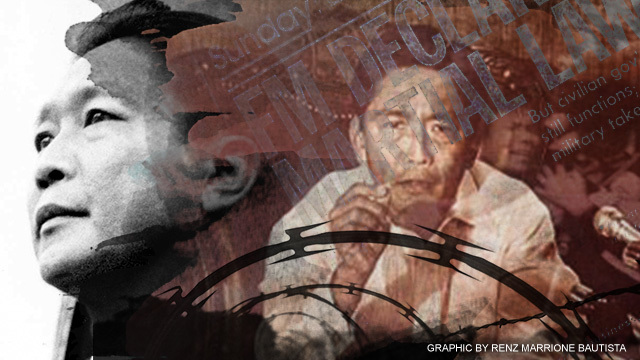 Members of the Samahan ng Ex-detainees Laban sa Detensyon at Aresto (SELDA) made this call Thursday to lawyers handling the class suit against the late dictator Ferdinand Marcos in protest of the delisting of some victims. “With the arbitrary delisting of class members, the victims who are legitimate members of the class suit against Marcos find themselves victims all over again,” said Marie Hilao-Enriquez, SELDA chairperson and daughter of one of the original named plaintiffs in the class suit. “It denies victims of our legitimacy of status as victims and their claim to justice,” Enriquez added. SELDA on Thursday held a picket in Makati City in front of the office of lawyer Rodrigo Domingo, the Filipino co-counsel of lawyer Robert Swift who handled the class suit filed in the US against Marcos. The group said its members should be reinstated in the original 9,539 members in the said class suit. Domingo had said that the eligible claims numbered 7,526, excluding the SELDA members. He explained that the victims had been required to file their claims twice, saying the second filing would ensure that there would not be any fraudulent claim made during the first wave of filing. But from 1999 up to 2011, Domingo said that only the 7,526 made the second filing, which made them eligible to receive the $1,000 settlement. It is the first time the victims will receive any compensation since they filed a class suit in 1986. Around 6,500 victims have received the compensation since distribution started in March, most of them come from the group Claimants 1081. Claimants 1081 and SELDA have been at odds with each other over issues about the class suit. In her letter to Swift, Enriquez said that the 2,013 claimants were removed from the original list because of incomplete addresses, double entries, and class members not confirming their claims when the letters were sent to them in 1993 and 1999. Enriquez, however, said that Domingo could not explain the criteria on how the delisting was done. “You have not shown the members of the class action suit any court order to this effect, hence, there is deep suspicion that you and Atty. Domingo have arbitrarily trimmed the original list for your own dubious interests, whatever these are,” she said. Some class members who were among the original list of victims and who were not included in the “master list” were Fidel and Rosario Agcaoili, Prof. Joma Sison, Satur Ocampo, Judy Taguiwalo, Josephine Dongail, Bonifacio Ilagan, Carol Araullo, Sonia Brizuela Planas, Rhodora Julian Clemente, Maxima Luneta, Corazon Casambre, Manuel Navarro, Ramon Veluz, Melvin Cayabyab, Jose Barsoles, Carlos Ortega, victims of the Tatalon massacre during the martial law period, and many others, especially from the provinces, and who were not given the compensation due them.